Guess what? 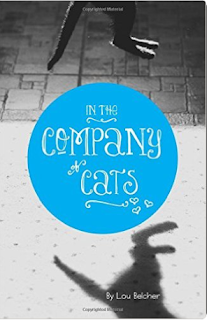 Lou Belcher will be at the "Meet the Author" book fair at the Eau Gallie Civics center on the 21st and 22nd of November to sign copies of her newest book, "In the Company of Cats" between the times of 9:30 am and 4:30 pm. Yep, we're proud of her too. In the Company of Cats is the story of Bugsy and Knuckles and their rescue as kittens. The transition to their new home is challenging at times. These littermates seem to have a secret communication system that keeps their new human hopping. Readers will find the story of these two cats full of whimsy and sprinkled with many lessons for all. Oh yes, before we forget, you can buy a copy from Amazon through here. Labels: "bugsy and knuckles" , "cat stories" , "in the company of cats" , "Lou Belcher"